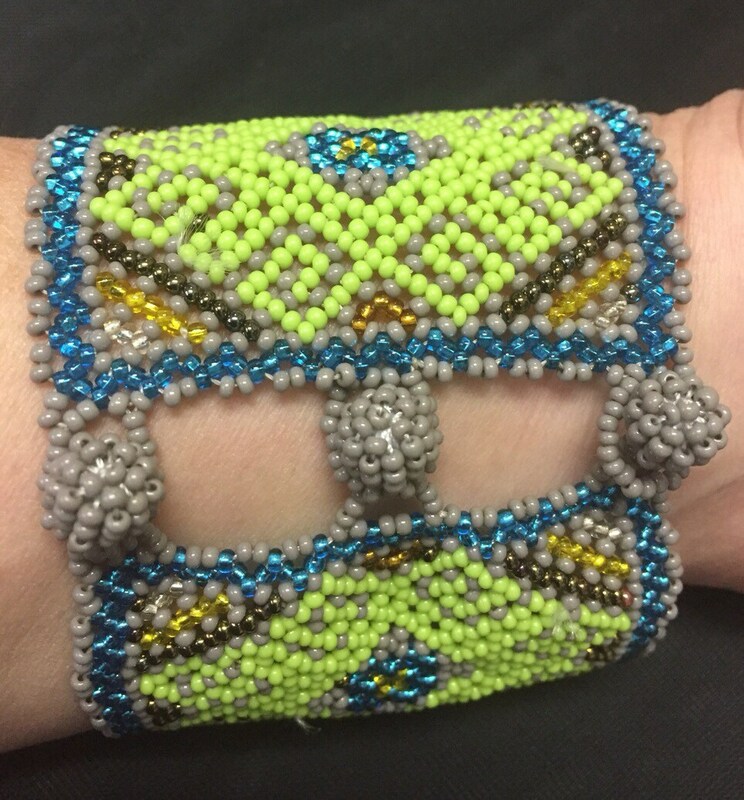 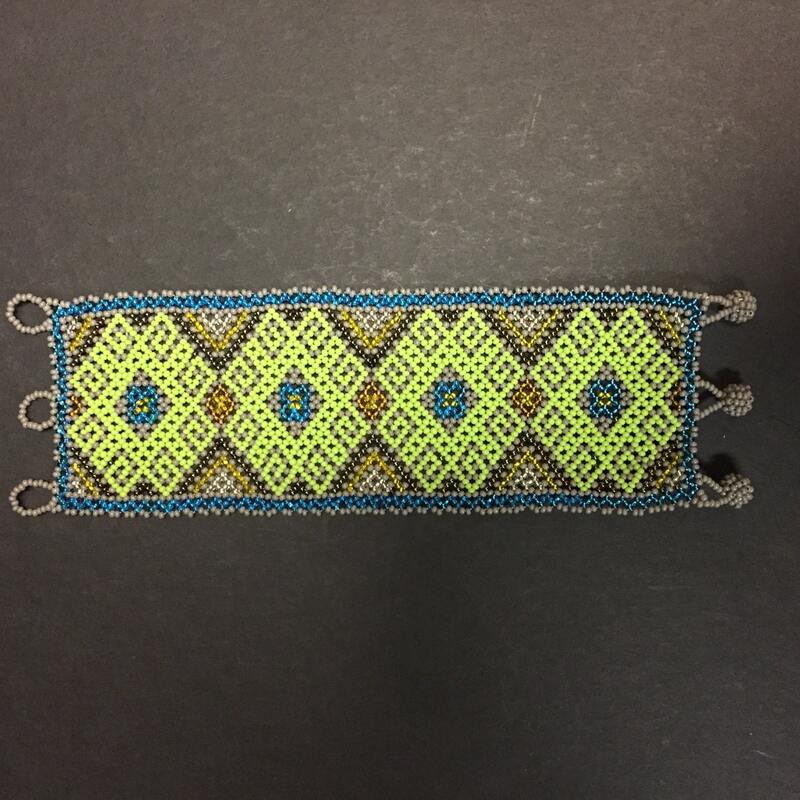 This beautifully handcrafted bracelet is 7 1/2" long x 2 1/2" wide. 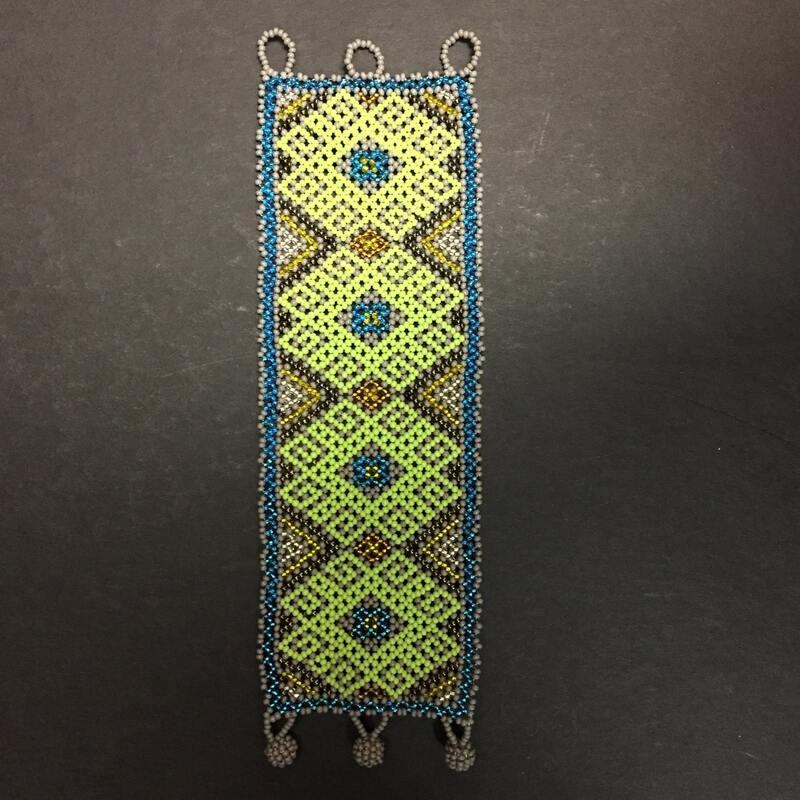 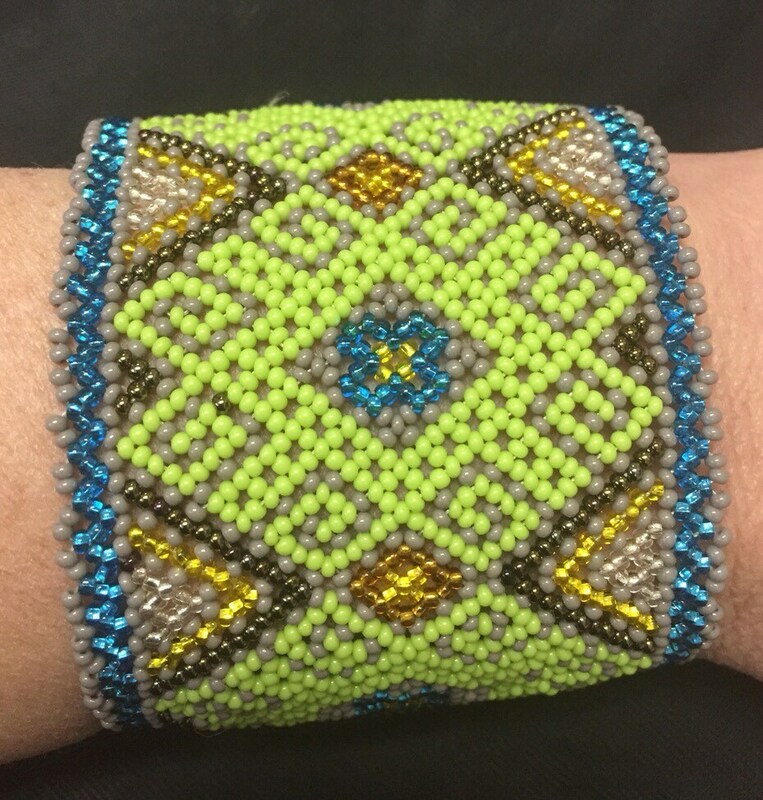 The bright green and blue beads intricately woven with natural toned beads allow for the beautiful craftsmanship to be noticed from afar. 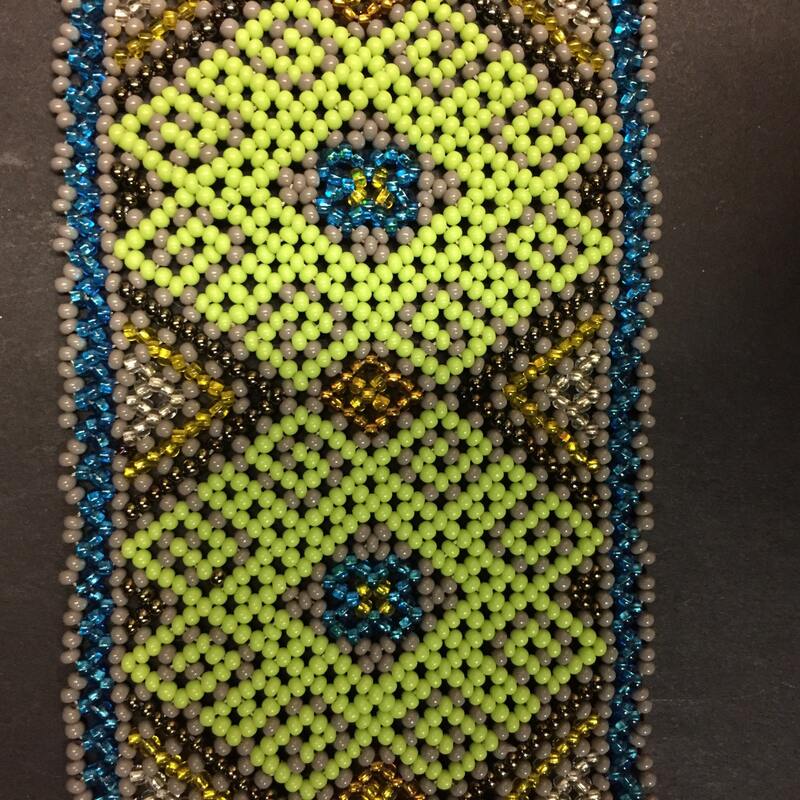 And the unique beaded clasp is not only exquisite; it is functional as well.